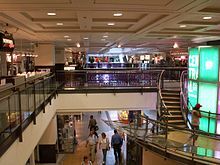 If you’re taking a New England/Canada cruise, be sure to make a stop in Montreal pre or post cruise to do some shopping. The city is very cosmopolitan and the people are fashionable, probably due in large part to the fantastic local shopping options. Simons – Look for the green awning; this budget friendly department store features trendy clothing and house wares. Montreal’s Underground City is a series of underground paths connecting shopping malls, metro stations, cinemas, food courts and more. Especially when the weather’s bad (Montreal winters can be bitterly cold), the Underground City is a warm and comfortable way to shop. RÉSO signs will point you to the underground entrances. Tomorrow, Old Montreal, St. Katherine’s and trendy neighborhood shopping.